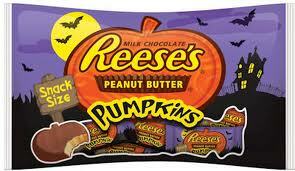 48 cups of sugar per year from candy alone. Break that into teaspoons and you get 2,304! That’s a lot of sugar. 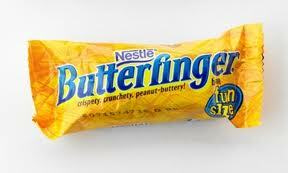 The USDA recommends that women get <5 teaspoons of sugar per day and men <9 teaspoons. 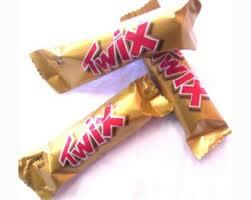 For less sugar, try swapping those choices for sugar free gum, Three Musketeers (fun size), or one peanut butter cup. Energy Drinks: Beneficial or Burdensome? ENERGY!!!!! We all need it, so how do we get it? Today it seems most rely on energy drinks for that extra boost just to get their day going! Energy drinks contain caffeine and supplements that have not been regulated by the FDA for safety. While there have been no concrete reports of lasting benefits there have been reports of the side effects of consuming too many energy drinks. These supplements can interact negatively with any other medications or supplements one may be taking. The effects that have been reported range from nausea and diarrhea to abnormal heart rhythms. A few countries also have restrictions on the sale of energy drinks. The caffeine in energy drinks also excrete water from the body to dilute high concentrations of sugar entering the blood stream leaving you dehydrated. Getting adequate rest, exercise and a healthy diet are the know ways to produce a good energy level. There will be no “crash and burn” if you keep that system up daily. The uncertainty of highly caffeinated supplement drinks could present a big risk to your health. How many energy drinks do you drink a day? 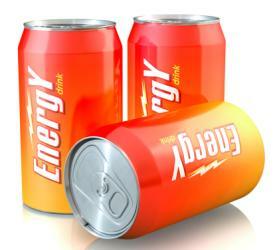 Posted in Uncategorized | Comments Off on Energy Drinks: Beneficial or Burdensome? Eicosapentaenoic acid (EPA), docosahexaenoic acid (DHA), and alpha-linolenic acid (ALA). 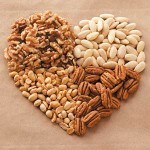 (These are the main Omega 3 fats). EPA and DHA are found in cold-water fatty fish like salmon, tuna, sardines, herring, mackerel, swordfish, bluefish, cod, and fish oil supplements. ALA is found in plant products like flaxseed, walnuts, and canola oil. 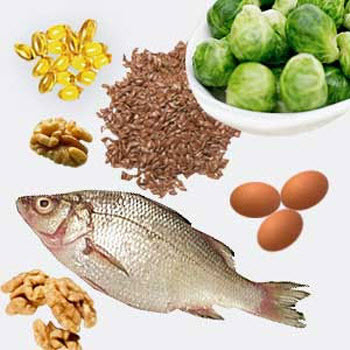 How much omega 3 fat should I have? 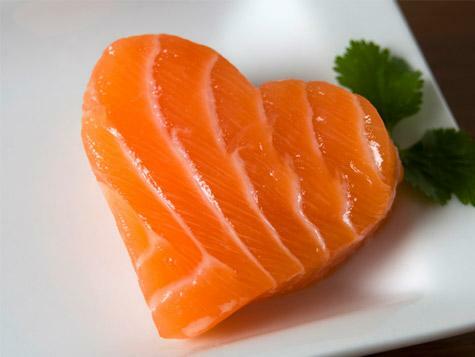 The American Heart Association recommends that a healthy adult should aim to consume between 1-3 grams of omega 3 fats every day. Eg. 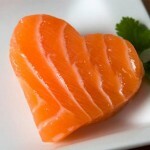 A four ounce portion of salmon provides 1.7g of omega 3 fats. How many of these foods do you eat? Are you sure you want that snack? To burn that off you would need to walk briskly at 3.5mph for 1 hour and 30 minutes. 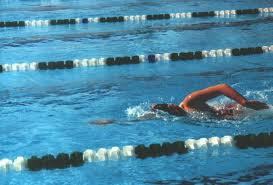 To burn that off you would need to swim laps for 1 hour and 15 minutes. Do you think these snacks are worth the extra calories and effort it would take to burn them off? Reading an ingredient label can be confusing enough at times. Did you know that common ingredients can be listed under many different names? Ingredients such as sugar, Trans fat; MSG and salt can all be effectively disguised in foods by being listed under unfamiliar names to the public. 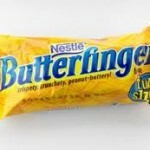 Check out your ingredient labels for these and other names you may be unfamiliar with. How many ingredients do you recognize? Wednesday’s Food for Thought: Does Size Matter? Question: From which bowl would you eat the fewest M&Ms? According to a Danish study, 88 college students ate twice as many M&Ms from the two larger bowls than from the smaller one. Just because the bowls were larger! Take home message: Use smaller dishes when possible to decrease portions consumed. Do you think the size of bowls, cups and plates affects how much you eat? Posted in Uncategorized | Comments Off on Wednesday’s Food for Thought: Does Size Matter? We all know that drinking milk will help build strong bones, but what about all those milk alternatives in the marketplace? How do they compare to milk? There’s soy, almond, rice, even potato milk, and who knows what they’ll think of next! 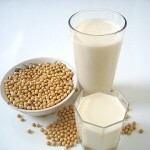 Consuming dairy products is part of a healthy eating plan. If you don’t drink milk because you don’t like the taste or are sensitive to lactose, milk alternatives are a great way to meet the USDA’s recommendation of 3 cups of dairy products a day. 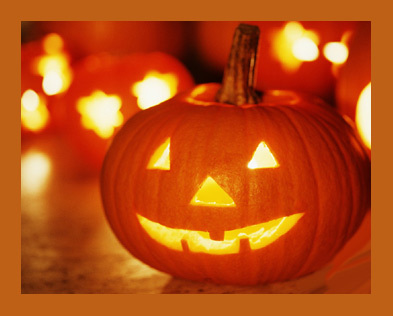 There are a variety of flavors and they can be used as a beverage, on cereals, and for cooking and baking. 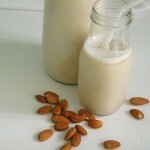 Soy milk and almond milk are the two most common types of milk alternative beverages on the market. They offer comparable amounts of calcium to milk, but differ in many aspects including taste and types and quantities of nutrients. 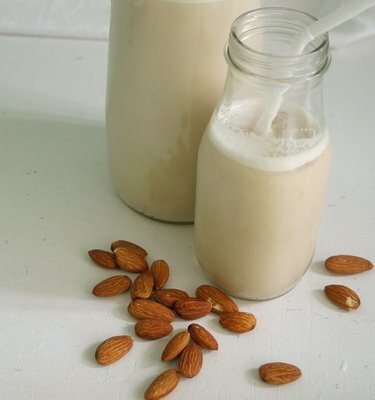 Soy milk has a similar amount of protein to skim milk, whereas almond milk has almost no protein. 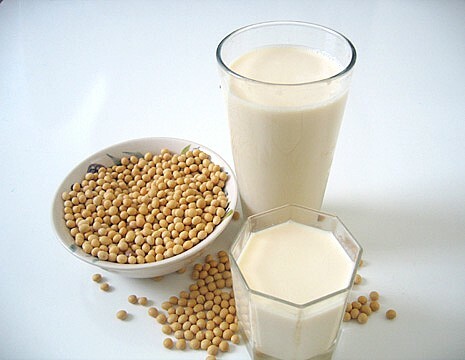 This makes soy milk a better choice for individuals who have difficulty obtaining adequate amounts of protein. Regardless of the kind of milk you drink, make sure it’s fortified with vitamins A and D. If it’s a milk alternative check the Nutrition Facts Label to see that it’s full of calcium. 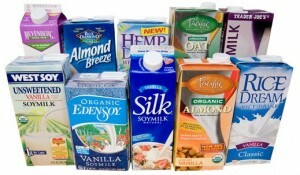 Do you have a favorite flavor or type of milk? Friday Nutrition Tip: Eat your H2O! We all know the importance of drinking enough water throughout the day! What about eating your water? Learn about the foods that have a higher water concentration to help you meet your hydration needs. You may need up to 10 to 15 8-ounce glasses of water per day to replenish lost fluids and keep your system running smoothly. Depending on your diet, food can actually contribute to your total fluid intake, by emphasizing fruits and vegetables that are water-rich. 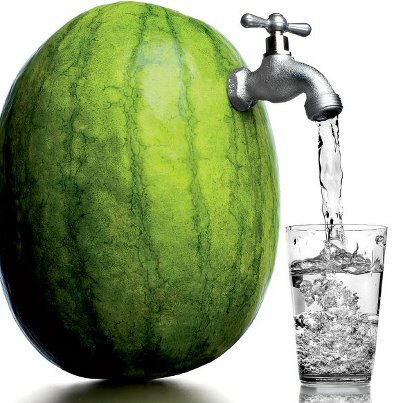 Adding fruits and vegetables with high water content also add fiber to your diet as well as a few vitamins and minerals! It’s a win, win! What is your favorite water filled fruit or vegetable? Posted in Uncategorized | Comments Off on Friday Nutrition Tip: Eat your H2O!